Two Augusts ago I made my first ever trip up to Mount St. Helens with my family. Despite having lived in the region all my life, I had never been before. It was definitely worth the trip. 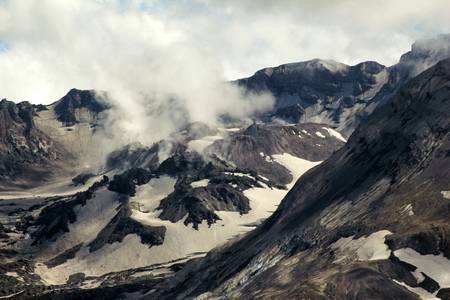 Close up photo of the lava dome in the crater of Mount Saint Helens. steam appears to be venting up through the snow-covered dome towards the cloud covered sky. Mount St Helens lava dome closeup on RedBubble cards starting at US $2.40, photographic prints US$6.60+, matted, mounted, canvas, framed, posters, shirts, stickers, iPhone & iPod cases prices subject to change. 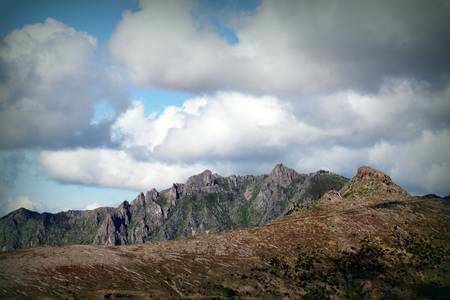 Once we reached Johnston’s Ridge, there were some breathtaking views of the mountain as well as a nice visitors center with a movie about the eruption and tons of activities for the kids. There is a day use fee for being there though, so If you go up be prepared to fork out some money. 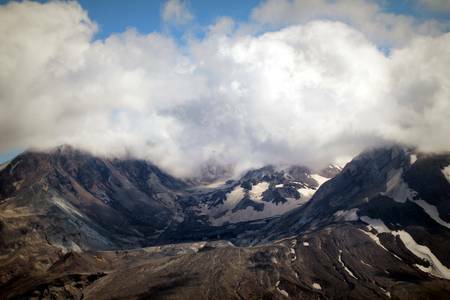 Swathed in billowing white clouds, the snow cover mount Saint Helens lava dome has an ominous kind of beauty. Mount St Helens lava dome on RedBubble cards starting at US $2.40, photographic prints US$6.60+, matted, mounted, canvas, framed, posters, shirts, stickers, iPhone & iPod cases prices subject to change. This focal black and white photo, bright paintbrush wildflowers on Johnston’s Ridge bloom surrounded by death and destruction. A clear blue summer sky with one fluffy white cloud in the background seems to represent renewal and hope for the future despite the site’s sad history. 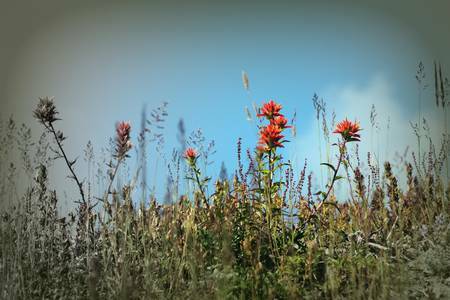 paintbrush wildflowers, Johnston’s Ridge on RedBubble cards starting at US $2.40, photographic prints US$6.60+, matted, mounted, canvas, framed, posters, shirts, stickers, iPhone & iPod cases prices subject to change. We only hiked up to the top of the first little viewing area and back, but it looks like it would have been fun to make a day of it and hike the whole path if we’d had more time and more energy that day. The paths were paved and even stroller friendly, albeit a bit steep. Hiking along the ridge top allowed for some stunning views of the local wildflowers against the blue sky. looking away from Mount Saint Helens from Johnston’s Ridge an entire forest of trees still lies dead on the ground of the surrounding mountains as a result of the 1980’s volcanic eruption. Dead tree devastation near Johnston’s Ridge on RedBubble cards starting at US $2.40, photographic prints US$6.60+, matted, mounted, canvas, framed, posters, shirts, stickers, iPhone & iPod cases prices subject to change. 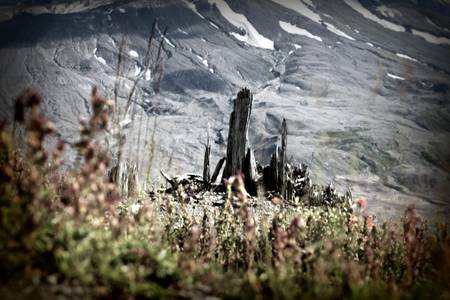 Like a ghostly apparition, this shattered tree stump at Johnston’s Ridge stands as a reminder of the devastating volcanic eruption of Mount St Helens.The snow covered base of the volcano’s crater is seen in the sunlit background. Shards of a tree, Johnston’s Ridge on RedBubble cards starting at US $2.40, photographic prints US$6.60+, matted, mounted, canvas, framed, posters, shirts, stickers, iPhone & iPod cases prices subject to change. These are just a small portion of my Mt Saint Helens photography. If you would like to see more you can check them out in my Mount Saint Helens galleries at Redbubble, Imagekind or Zazzle.